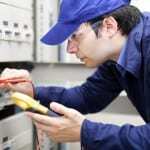 We have been offering emergency electrician services to the Charlotte, NC area for over 20 years. Emergency Electrician in Charlotte – You may not realize how much you rely on electricity, but it does so much more than just provide power for lighting in your home or business. 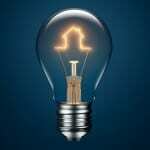 When the power does go out or something else is wrong with the electricity, you will notice that your computer, TV, refrigerator, oven, and microwave won’t work right either. Additionally, when your office doesn’t have working electricity, you will lose a lot of productivity from staff members who can’t access computers or other electronic devices. While power outages are handled by your local power company, if there is something wrong with the electrical wiring or fuse boxes at your location, the best option is to call an emergency electrician at Lamm Electric. We have been offering emergency electrician services to the Charlotte, North Carolina area for over 20 years. When an emergency electrician from Lamm Electric comes to your property to fix something, he or she will likely have to turn off the power for a time. However, you don’t need to fear an electrical surge when it gets turned back on. Our team can make sure that your electronics and other devices are not damaged. In addition to offering emergency electrician services, our team can provide a variety of resources. We can assist in new construction, electrical repairs, electrical rewiring, remodeling projects, and installing new outlets or lighting fixtures. Our team also specializes in commercial electrical services, so if you are a business owner, feel free to contact us for all of your electrical needs. Our team works diligently to make sure that we accommodate your needs and your schedule. At Lamm Electric, our emergency electrician proudly serve Charlotte, Belmont, Huntersville, Indian Trail, Matthews, Mint Hill, Harrisburg, and Mt. Holly, North Carolina.